Did you grow up going to a dentist’s office where they had “Find the Hidden Toothbrushes” posters mounted on the ceiling above the exam chairs? If you didn’t, you should have – those things are awesome. And, they’re effective, for kids and adults. I can still picture the big Crest logo in the corner of the posters in my dentist’s office. I was at a non-dentist doctor’s office recently, and I noticed that they didn’t have anything like that, on the ceiling or elsewhere. Come to think of it, the dentist’s office is the only place I recall regularly seeing little advertising puzzles like those. Why is that? Why don’t you see more 10-second brain exercises in advertising? I posted a piece a few weeks ago about using bracket contests to drive traffic to websites and social media outlets. The idea here is similar in some ways, but not quite the same. The brackets promote low-energy interactivity along with regular visits. The “Toothbrushes” poster provides a welcome break from an otherwise boring (or scary) experience, but demands a little bit of short-term concentration. There are lots of boring times in life, and people enjoy opportunities to actively escape them – even for a few seconds. Why not capitalize on those times by providing escape opportunities? If a business runs an ad inside a bus shelter that features a word jumble, and then runs an ad with a different word jumble inside the actual bus, that company has just gotten two good chunks of solid concentration from a whole lot of bored bus riders. There are lots of ways to gain your audience’s attention, and even concentration. 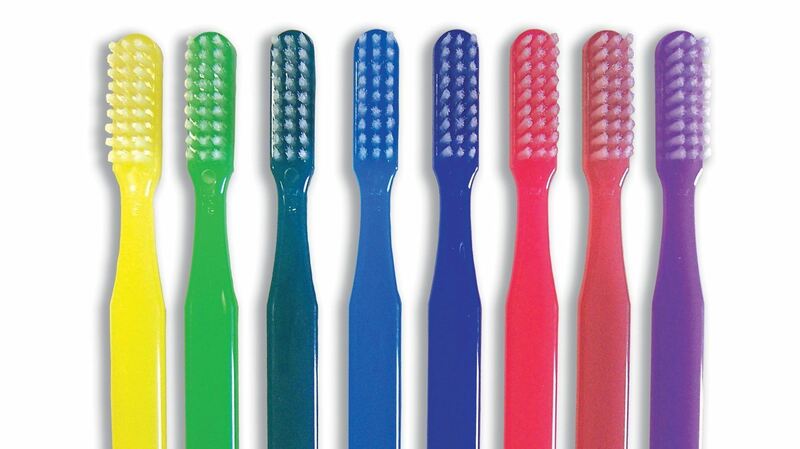 If you’re having trouble coming up with ideas, we’ll be happy to help you find your “Toothbrushes”!